This is a mini collection of warm and lovely elbow length mittens decorated with pompon clusters and needle felted patterns. 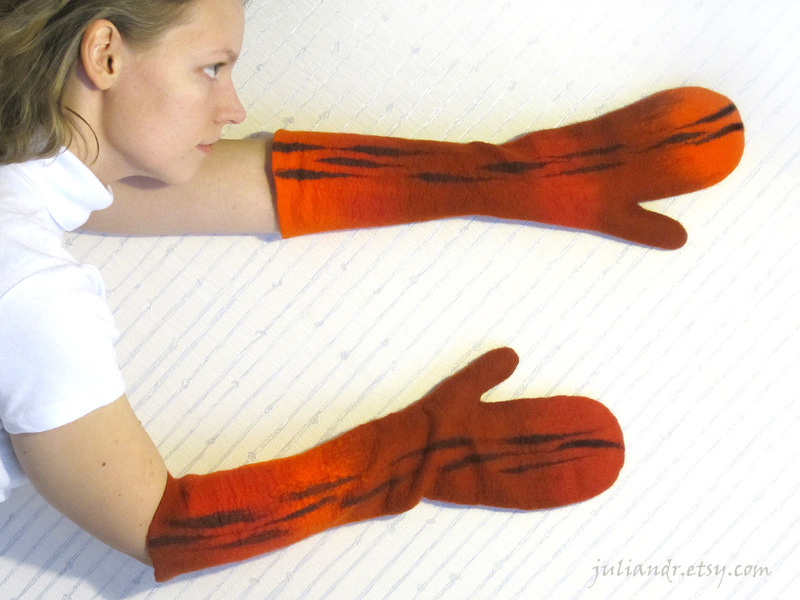 They are extremely cozy and chic, and what is more, they're REALLY warm - a pleasure to wear on a gloomy wintry day. 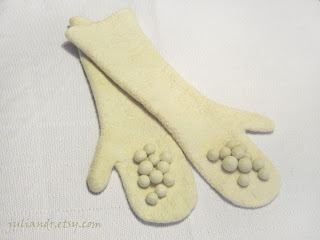 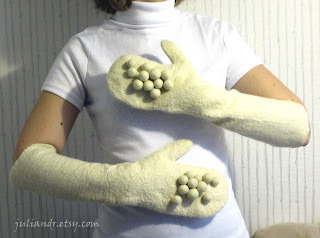 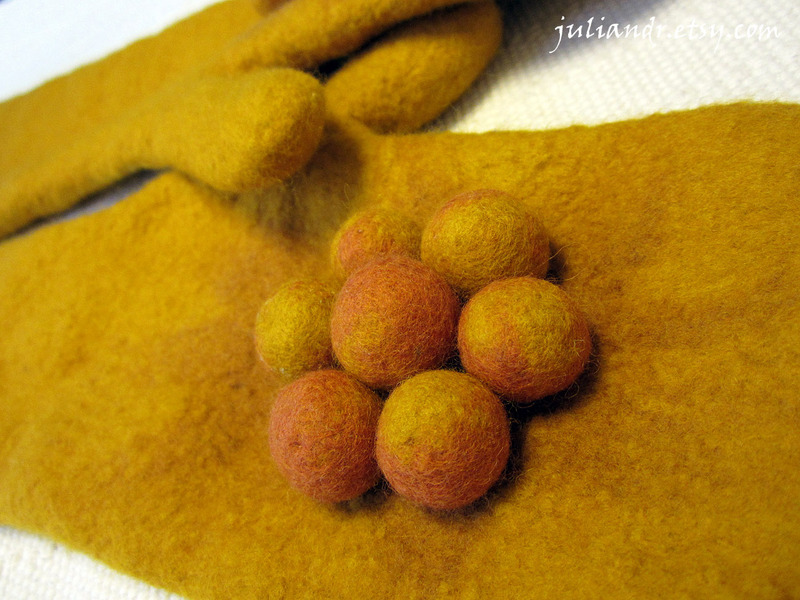 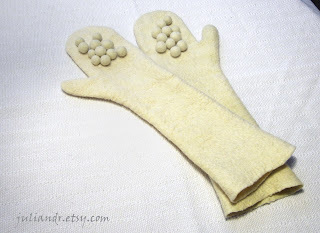 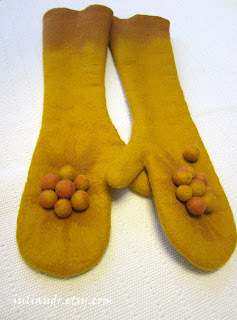 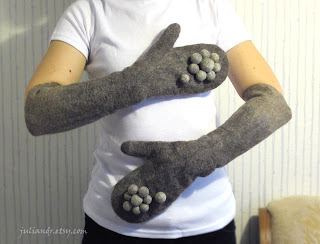 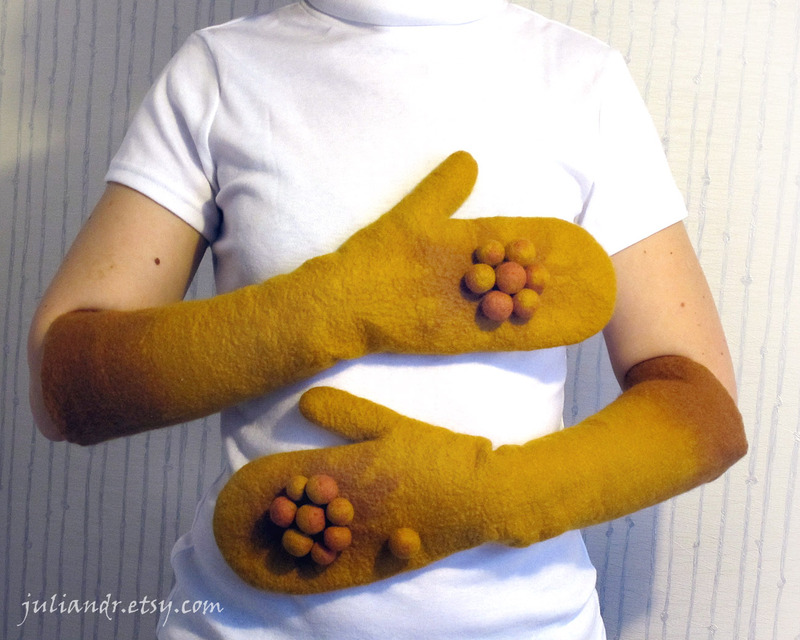 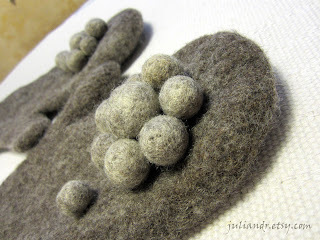 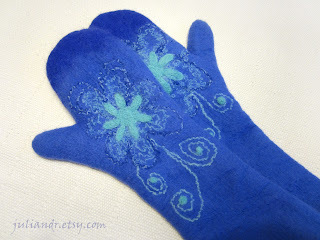 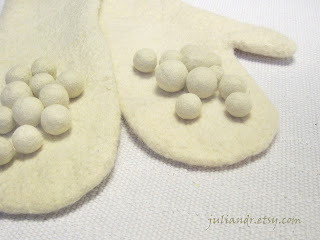 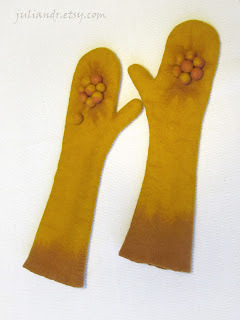 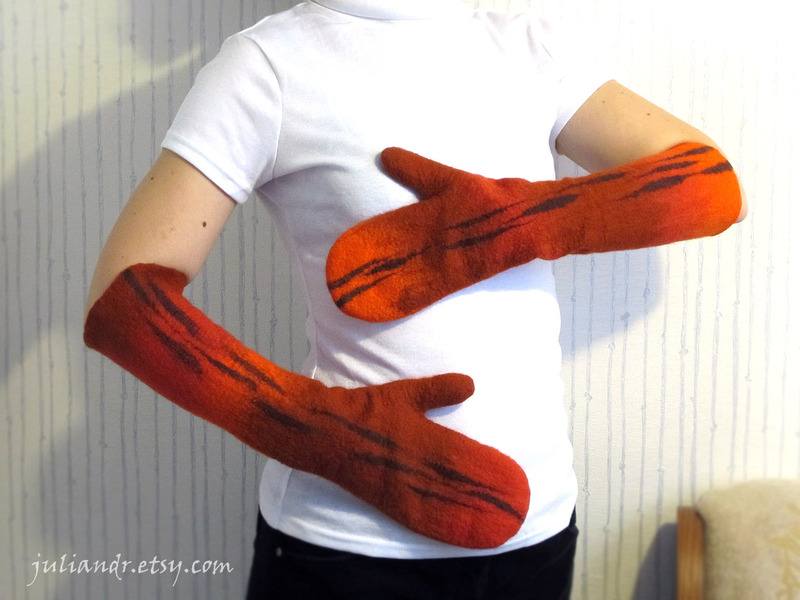 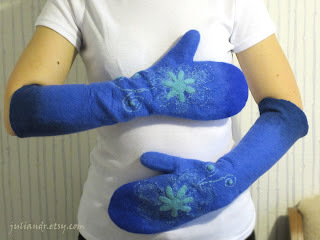 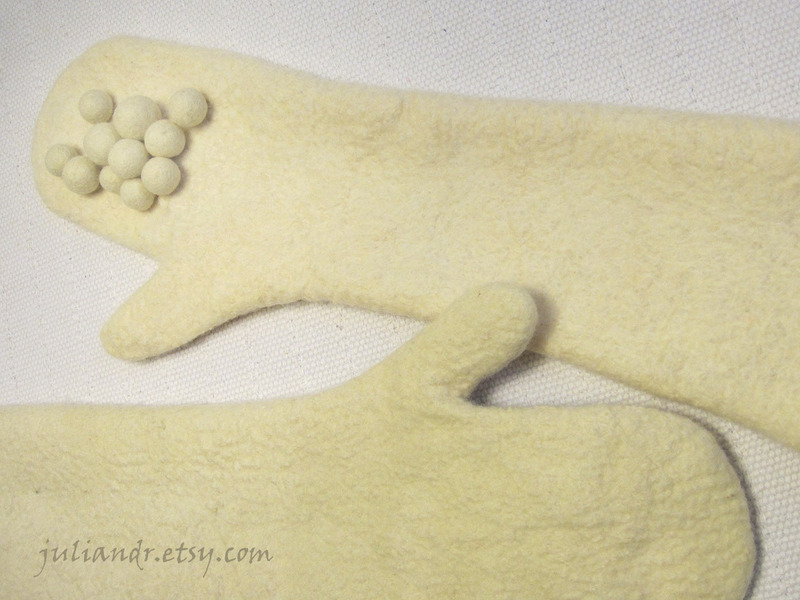 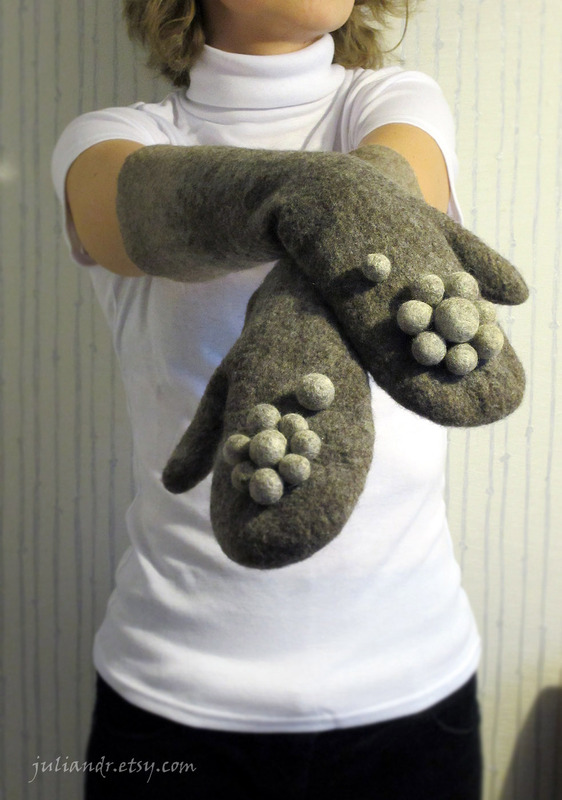 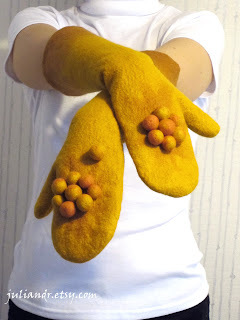 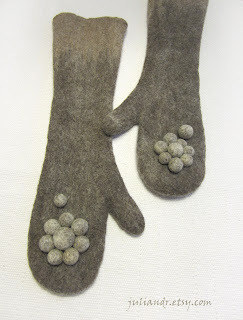 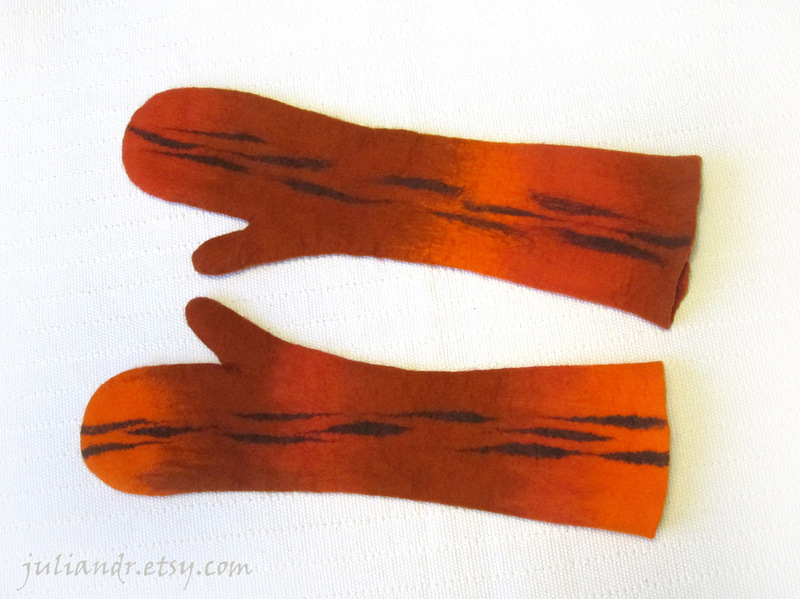 Mittens are designed and hand felted by me, pompons were made by hand as well, each shaped between my palms carefully. 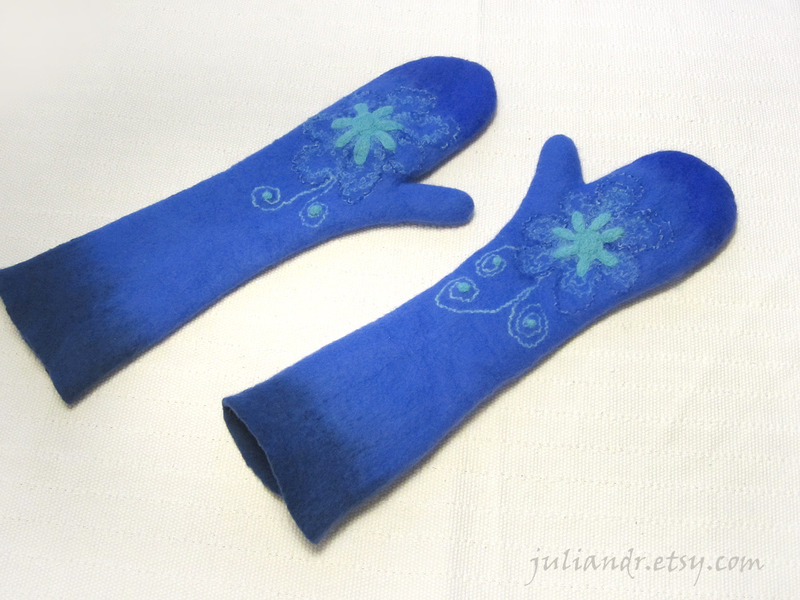 The Blue, Foxy and Mustard ones were made of high quality merino wool, very soft, comfortable and durable. The Natural Gray and Ivory are made of British BFL (Bluefaced Leicester) breed wool, which is not as tender as merino, but also quite soft and durable -- enjoy the pure undyed color combinations, isn't it lovely! 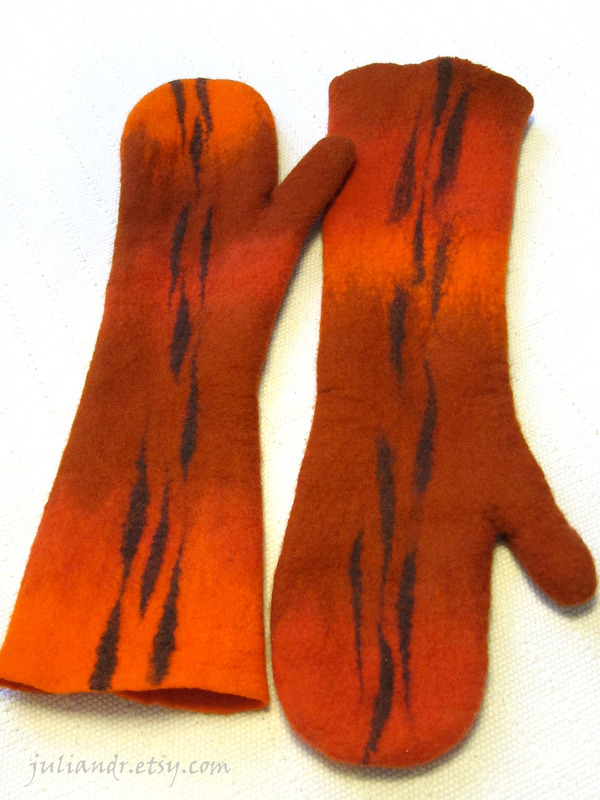 Measurements: length 45-47 cm --> 18,1". 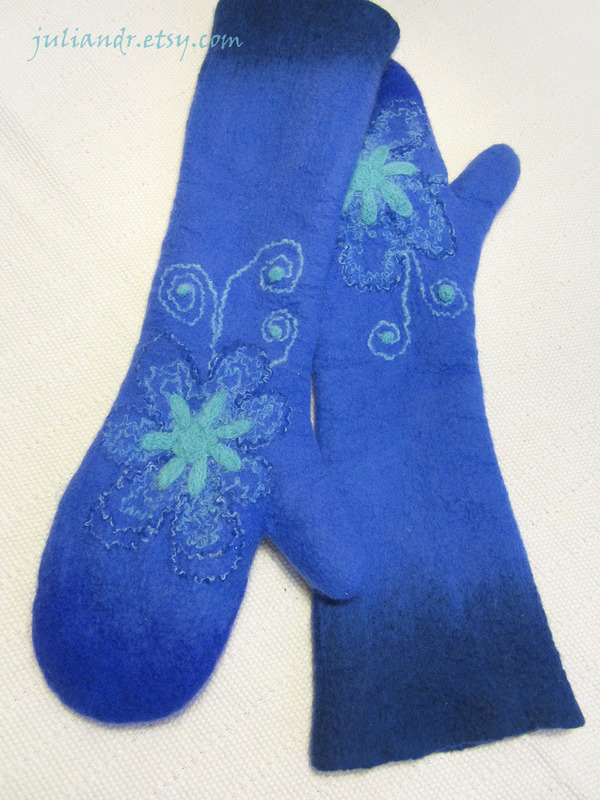 Width 10-11 cm lying flat. Fit palm girth up to 25 cm --> 9,4" (measuring without a thumb).